JUST REDUCED!!! 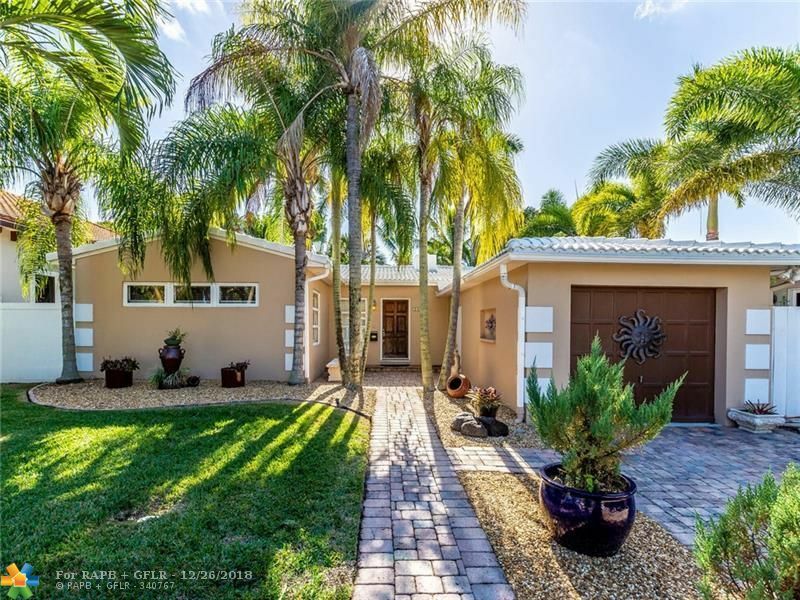 STUNNING 2 BEDROOM 2 BATH POOL HOME WITH A ONE CAR GARAGE IS LOCATED IN PRESTIGIOUS VICTORIA PARK ON A QUIET STREET. BEAUTIFUL HOME HAS A OPEN BRIGHT FLOOR PLAN WITH SPACIOUS FLORIDA ROOM, THE PROPERTY HAS A THREE YEAR NEW 3.5 TON A/C, FRESHLY COATED/SEALED SPANISH TILE ROOF, APPLIANCES, WASHER/DRYER AND NEW CARPETED BEDROOMS.THE PROPERTY IS BLOCKS TO FORT LAUDERDALE BEACH, INTRACOASTAL, GALLERIA MALL AND GREAT RESTAURANTS.BEAUTIFULLY LANDSCAPED WITH SPRINKLER SYSTEM. EXQUISITE POOL AND PATIO IS PRIVACY FENCED. TROPICAL LANDSCAPING WITH BRICK PAVERS SURROUNDS THE HOME.THIS PROPERTY IS PERFECT FOR YOUR NEW HOME OR A INVESTMENT PROPERTY. CALL TODAY!! SOLD AS IS.